We always appreciate your feedback. 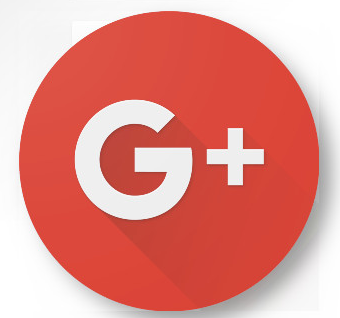 Click here to leave us a Google+ review! The system your team designed and installed is working great. I can't believe how easy it is to operate. I was also amazed at the quality of the night time images. Great job guys! You can be sure I'll recommend Michigan Camera Systems. I was having a problem with my old system and my installer had stopped servicing that particular system. I called Michigan Camera Systems and their staff came out that night! They were able to get my system working. When the time came for a more up-to-date camera system, guess who I called! North Branch Area Schools awarded the bid for security cameras to Michigan Camera Systems in August of 2010. They put completely new security camera systems in 5 school buildings and the transportation facility. This was a large project that had to be completed around the school schedule. They worked evenings and weekends to complete the job in a timely manner with minimal disruption to the school day. Joel Woods and Mike Stellman met with each of the building administrators to determine the best solution for each of the individual buildings. They provided training to the appropriate staff in the use of the equipment. This was very valuable to make sure the systems supported the needs of the building. The bid included a 3-year warranty on the equipment plus maintenance and support for the operation of the equipment. The company has been responsive to any issues that have arisen and have taken care of any problems promptly. I would recommend Michigan Camera Systems to anyone considering install a security camera systems. I am happy to provide this letter of reference for Michael Stellman, owner of Michigan Camera Systems. Mike’s company won the bid for upgrading our camera security system, and his team was professional, quick, and thorough. They cleaned up after themselves and were polite to everyone they interacted with. Mike made sure that the team members understood the delicacy of the work in our office (we are a Hospice company and interact with grieving families and patients over the phone) and they were quiet, efficient, and non-obtrusive. The system itself has been working wonderfully, and Mike has responded quickly when we’ve needed small adjustments or had questions about the system. He has in-depth knowledge of the systems he works with, and can explain complex systems in a way that makes sense to non-tech staff. I would highly recommend Mike and Michigan Camera Systems. He has delivered everything he’s promised efficiently, effectively, and with competitive pricing.